With veganism and dairy sensitivities on the rise, it seems there is a new non-dairy, vegan ice cream popping up everywhere you look, and it’s no longer the chalky, sad imitation of regular ice cream. 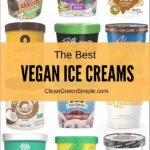 There are so many more brands and flavors available than there were just a few years ago, so we decided to round up 10 of the most popular vegan ice cream brands and compare them for flavor, quality, price and health factors. You might be surprised at just how creamy, rich and satisfying some of these brands actually are! Please note that we’ve taken the liberty to include sorbettos and gelatos in our list because, technically speaking, there’s no such thing as vegan ice cream. By definition ice cream contains milk fat, so we use the term “vegan ice cream” as a general term for dairy-free frozen desserts that satisfy our ice cream cravings. Proudly displaying their ingredient list and nutrition facts on their website, Luna and Larry’s products are organic and totally gluten free-a win for those avoiding wheat as well as animal products. Those looking closely at the ingredient list will note that this vegan ice cream brand relies on only 5 clean, pronounceable ingredients to create their base vanilla flavor. Ringing in just around $6 at most health and grocery stores, it’s an affordable and clean vegan alternative to those looking to get their ice cream fix! 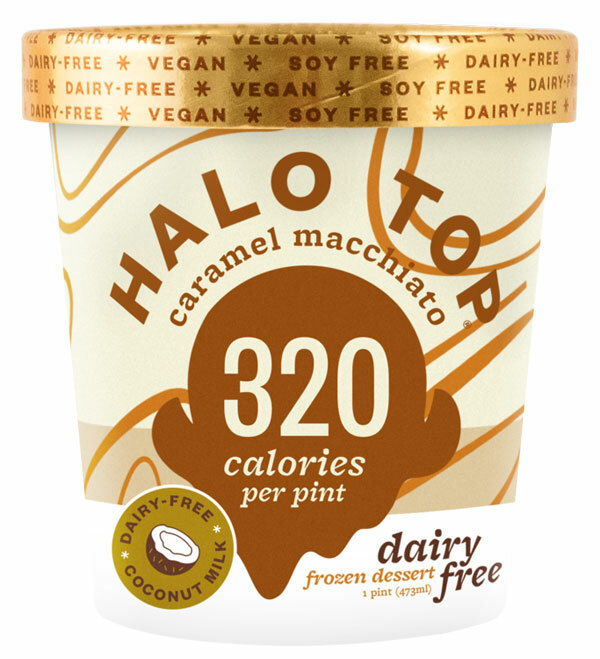 Halo Top is best known for creating ice cream flavors that are low in calories yet high in protein, and their vegan line doesn’t disappoint! Each pint contains 360 calories or less and 12g of protein (compared to other leading brands with 3g of protein). Flavors worth trying include Chocolate Covered Banana, Pancakes & Waffles, and Vanilla Maple. Fans of the dairy-laden original will notice that the vegan version is lighter and also creamier in texture. A crowd pleaser for vegans and non-vegans alike! Where To Buy: Available online and in most grocery stores. Unlike other vegan ice cream brands, Talenti does not use a single base ingredient for their dairy-free line, but instead relies on fruit or nuts to bring their sorbettos to life. The Peanut Butter Fudge Sorbetto is surprisingly creamy, and consumers looking at the ingredient list will be shocked to find that Talenti only uses 6 ingredients. Because sorbetto contains less air than ice cream, the flavor is more intense, and fans rave that the result is smooth, sweet, and refreshing and worth the few extra dollars for this satisfying vegan treat! 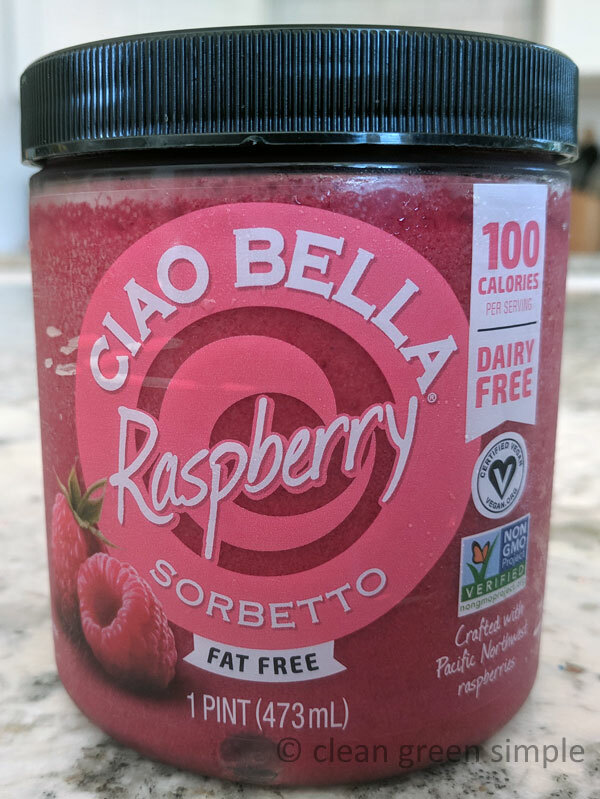 Like Talenti, Ciao Bella relies on a variety of base ingredients for their different vegan flavors, including water, coconut meat, and fruit. Their fruit based sorbettos are a great option for those who are vegan but also have tree nut allergies and need to avoid coconut. 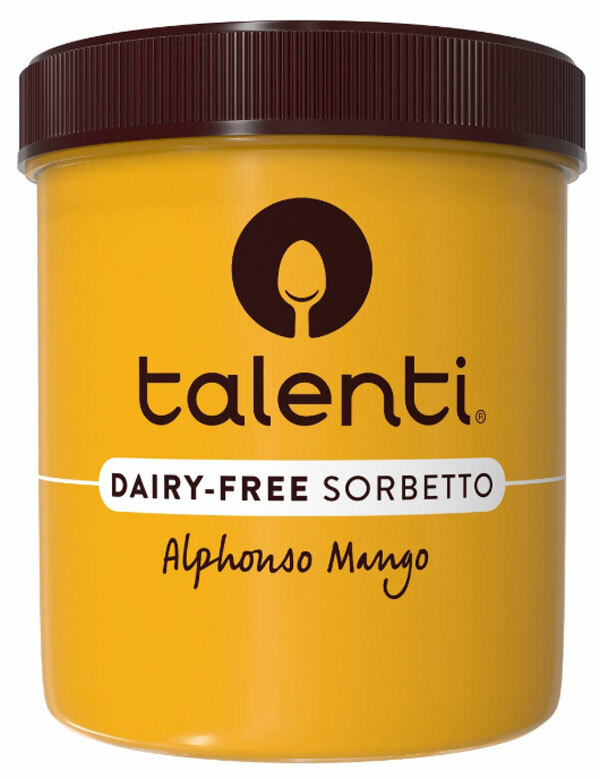 And like Talenti, because their is less air in sorbettos than in ice cream, reviewers found that the taste was more intense than other brands. 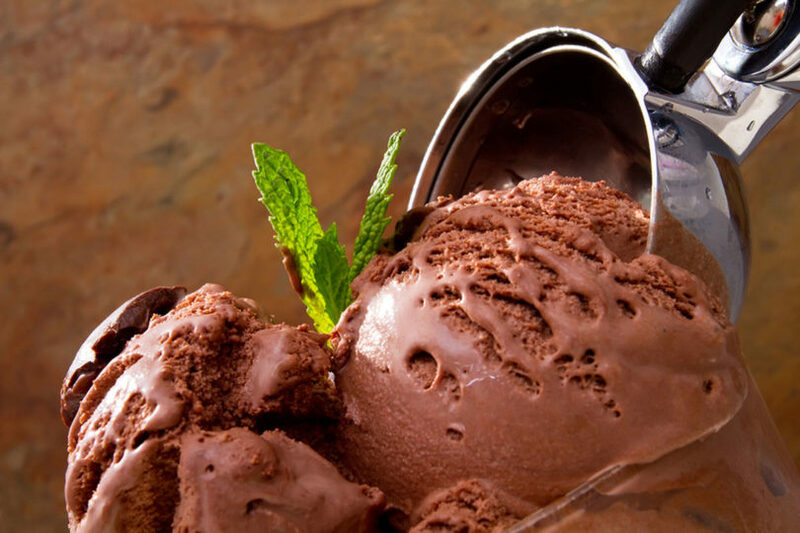 For those craving an very dark chocolate sorbetto that’s remarkably creamy and light, try their Chocolate flavor-it’s not for the milk chocolate fans but is deliciously rich! Base Ingredients: Fruit, water or coconut depending on flavor. Where To Buy: Available online at Ice Cream Source. With Rice Dream, Soy Dream, Almond Dream and Coconut Dream options, it seems impossible that any dairy-free ice cream lover couldn’t find something to love with the Dream brand! This brand is affordable – each flavor is less than $5 a pint – and available in most grocery stores. Fan favorites include Mint Chocolate Chip, Toffee Almond Fudge, and Butter Pecan. 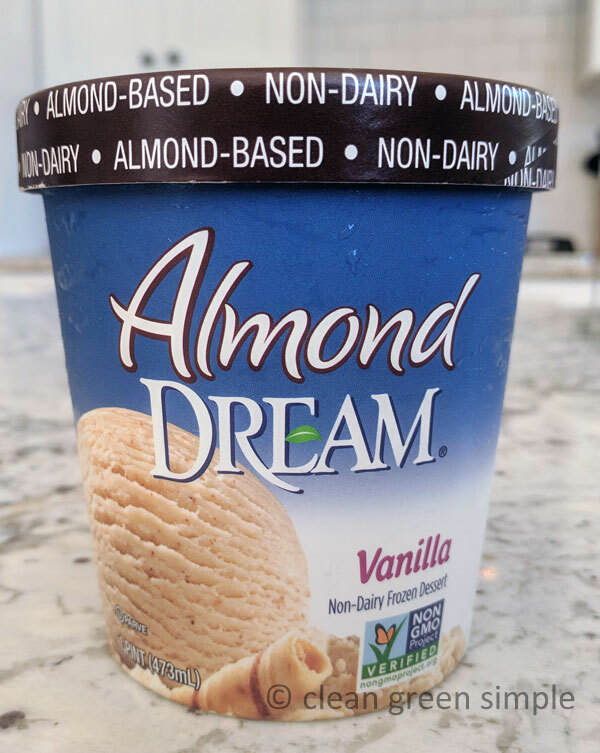 While the ingredient list is not nearly as straightforward or clean as other brands, Dream does provide an alternative for those who cannot eat dairy, tree nuts, or soy with their Rice Dream line. However, if you’re not allergic to tree nuts, most reviewers agree that the Almond Dream or Coconut Dream lines are more like traditional ice cream and don’t have the aftertaste of rice. 100% plant based, sugar free, and free from the Big 8 Allergens, including soy and peanuts, this will be the best choice for those not only vegan but restricted by allergies. Die-hard ice cream fans will note that this product can’t really be called vegan ice cream as this brand is only available in frozen bites, not scoopable pints, but the taste is creamy and refreshing for anyone on a restricted diet looking for a sugar fix. PerfectlyFree is also not readily available in most stores-it’s best to order online. Where To Buy: Available online at PerfectlyFree. This family owned business was created in 2004 with an ambitious goal: creating a coconut based, dairy-free ice cream for dairy-loving friends and family. Fifteen years later, the positive reviews keep rolling in, and NadaMoo continues to create vegan ice cream flavors that will make you drool! Marshmallow stardust, That Snickerdoodle Dough, and Cookie Dough Fudge are high rankers in their current lineup of 18 flavors, with more varieties promised soon. Those who don’t like the taste of coconut will be happy to find that even the Vanilla flavor does not taste overly coconutty, and the texture is creamy enough for any dairy lover. Where To Buy: Available for order online at NadaMoo.com and in some select grocery stores. Check their store locator to find a retailer near you. Not a fan of avocado toast? 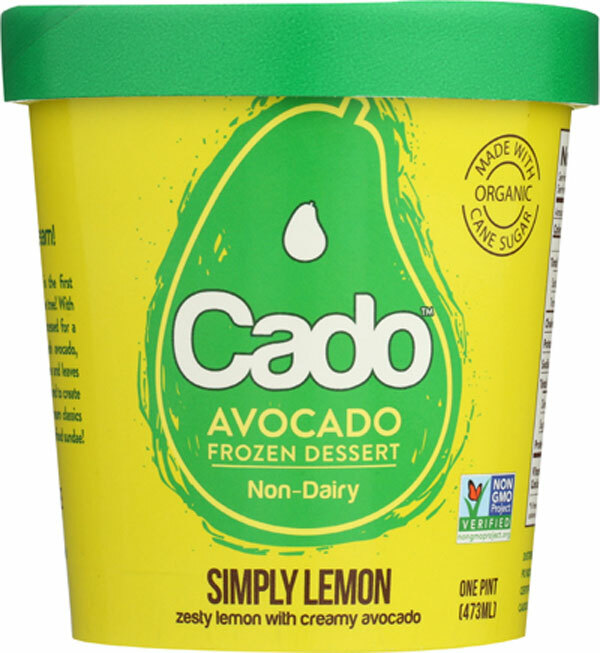 If seeing avocado on the ingredient list sends you running back to your usual dairy-laden pint, never fear: Cado is remarkably creamy (thanks to the high amounts of healthy fats present in avocados), tastes nothing like guacamole, and is not green in coloring. 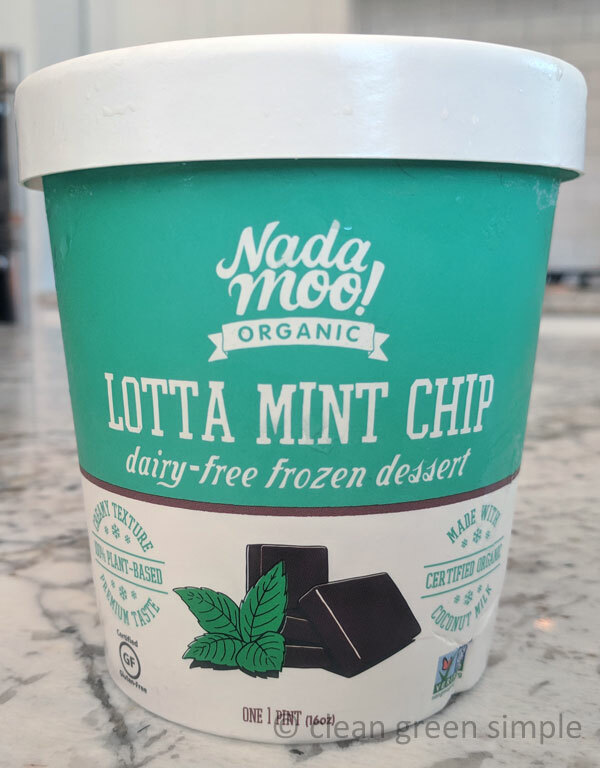 If you’re still not convinced, read the Facebook reviews — dairy lovers and vegans alike are especially in love with the Simply Lemon and Mint Chocolate Chip flavors, and ice cream fanatics with nut allergies will be thrilled there’s another non-coconut based option on the market. Where To Buy: Not available for purchase on their website, but carried by most health food and grocery stores. While not as creamy as Cado, Tofutti has a reputation of packing quite the flavor punch and being less “chalky” than some of the ever-popular So Delicious brands. Tofutti sells ice cream sandwiches as well as pints, so it’s a great treat to have around for kids or anyone needing a quick sugar fix on the go. 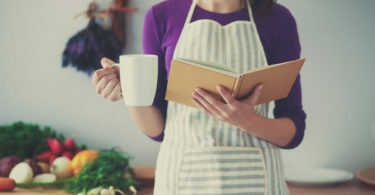 However, it’s not as clean as other vegan varieties since it does contain corn syrup and corn oil, and the website notes that some flavors contains nuts and wheat, so gluten free vegans will need to read the labels carefully. Also, since most vegans eat quite a few soy-based products already, it might be better to start with a vegan ice cream brand that doesn’t contain soy. Where To Buy: Tofutti is available at most grocery stores, but not available for online ordering. Visit their site for store locators. 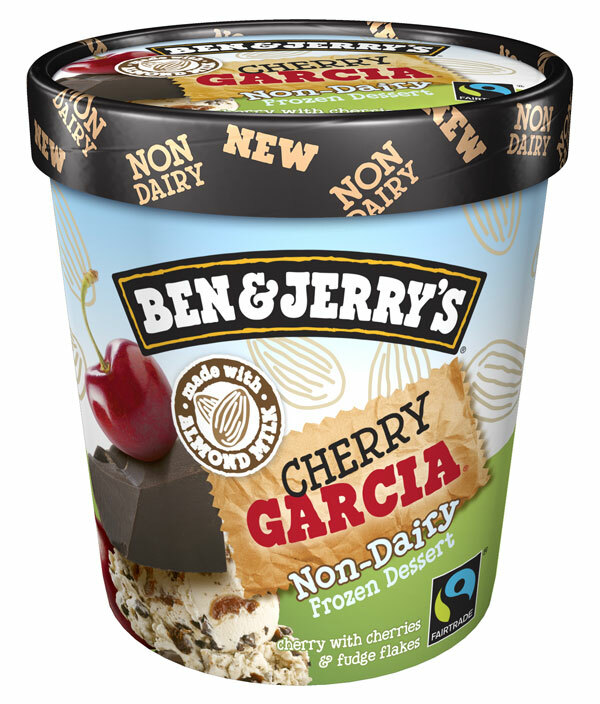 A household name among ice cream lovers, Ben & Jerry’s couldn’t resist getting in on the non-dairy ice cream trend! The company has released no less than 12 flavors that are certified 100% Vegan. The brand uses almond milk as their base, which results in a slightly softer scoop than their other ice creams, but with the multitude of flavors and mix-ins, you wouldn’t know that this was a dairy-free ice cream. Where To Buy: Available for order in most metropolitan areas through their website, and in most grocery stores. 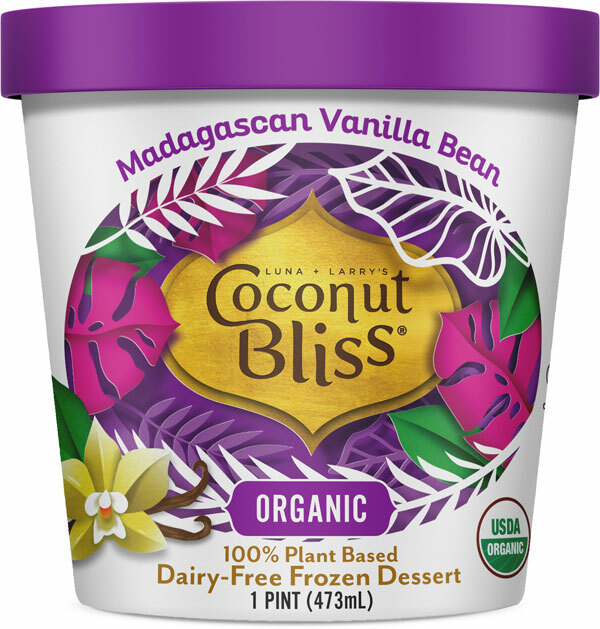 Luna & Larry’s Coconut Bliss wins for myself and many other reviewers as the best overall vegan ice cream brand, given that it’s affordable, has a wide range of flavors, has a similar look and feel to regular ice cream, and uses clean ingredients. NadaMoo! is the winner with their Lotta Mint Chip! flavor. NadaMoo offers such a wide variety of interesting flavors that no true ice cream fan will be disappointed or bored! Cado, given that it contains minimal, non-GMO ingredients, is Certified Organic, and has an avocado base (widely recognized as a superfood with high amounts of Omega-3’s) is the healthiest of these options. Plus, the texture and flavors do not disappoint! 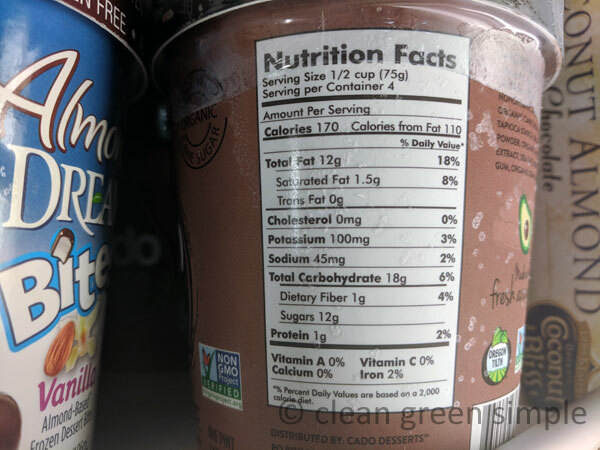 Halo Top was a close second with its clean ingredient list and low calorie count. 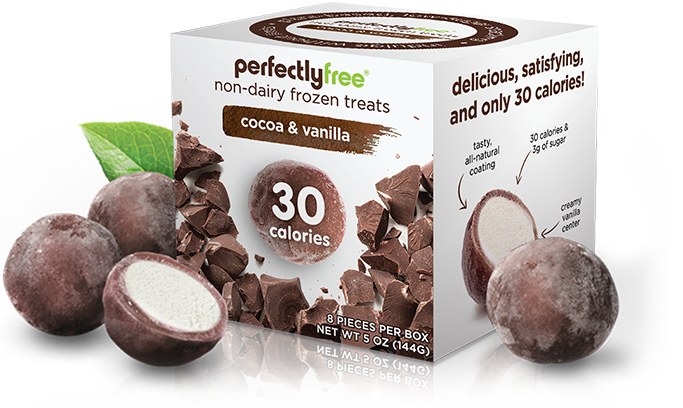 PerfectlyFree wins by a landslide here-the ingredients are simple, clean, and real — and since vegan ice cream bites is the companies only product, there’s no need to worry about cross-contamination from wheat, nuts, or soy. Dream, most readily available and cheapest per pint, wins the Best Price award — but if you’re looking for a vegan ice cream, consider getting the best, not the cheapest! If Dream tastes the best to you, it’s a win-win. Which vegan ice cream brands are your favorite? Let us know in the comments below! 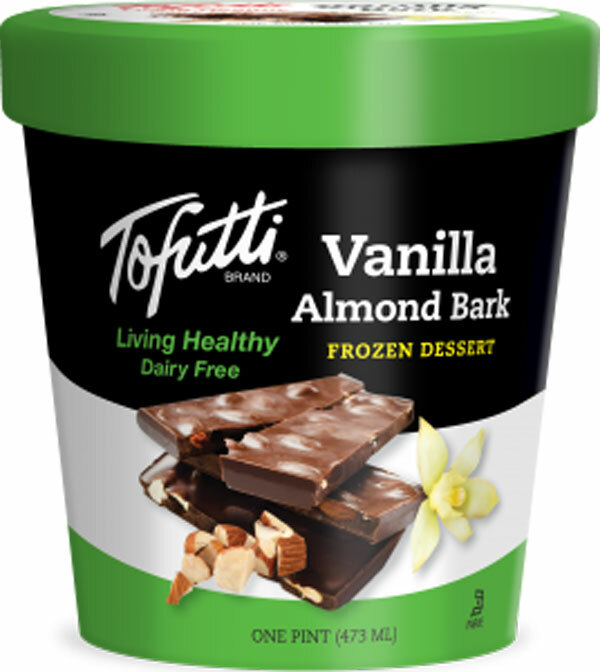 You Folks should check out Aldi’s Store Brand Non Dairy Frozen Treat Vanilla and Chocolate. I thought the Vanilla was creamier and richer tasting than the Chocolate. Price: just under $3.00/pint! Thanks so much for the tip, Karen! We’ll definitely include that one in our taste testing when we do an update.